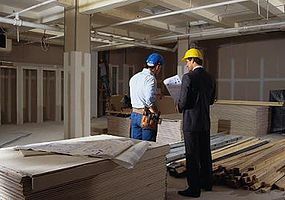 Our Contracting Division specializes in commercial consulting, tenant improvements and remodeling. The company is committed to providing its clients with reliable service and high-quality consulting. The firm places its value on people ¬ranging from its esteemed customers to hand-selected vendors and finally to its own talented staff. Our commitment to excellence and determination to provide quality and timely work is what sets us apart from competition and makes us a valued general contractor for any project.